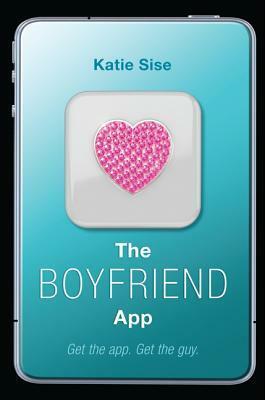 “The Boyfriend App” by Katie Sise is amazing. This is a fabulous debut novel and one of the best stand alone contemporaries that I have had the pleasure of reading in awhile. I was hooked right away. Sise created such a neat story about a young girl who creates an app to win a contest for a scholarship. Audrey McCarthy is trying to design the perfect app to win a contest for a scholarship to any college of her choice. Audrey decides to make “The Boyfriend App,” now this app tells you when a boy that is matched with you because of similar interests is within 100 feet of you, that way the girl can ask him out if she would like. This app was created to help find a boyfriend, so that you don’t have to wonder if there was someone out there you had something in common with because the app did the work for you. What Audrey didn’t expect was all of the odd couples that started to pair up because of the app. Once couples didn’t work out, the app slowly started to tank on the best seller list. As Audrey tries to perfect her app to make it better, she discovers some confidential information that she uses to her benefit for the app contest. What Audrey doesn’t count on is that her app would create a giant mess on her hands. Audrey tries to put her life back together as she watches the boy that she is crushing on date someone else and her app can’t even help her get him to notice her the way she would like. Audrey has to deal with growing up and finding her own way as she tries to survive her senior year of high school. As I state previously this is one of the best contemporary stories that I have read in awhile. I loved the characters and how they interacted together. The leading lady Audrey McCarthy had an ex-best friend as her nemesis and of course there was a little bit of love drama between the nerdy boy or the popular jock. These characters were fantastic. Sise brings this story to life, I felt like I was a part of the book the entire time I was reading it. This book was so hard to put down, so that I may focus on other tasks. I just wanted to know more each time. The plot was great and I think the book has a whole flowed really well. Sise did a great job putting several attention getters in the book. 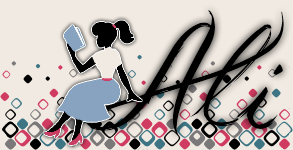 Audrey is the nerdy girl who has lost her father and best friend. Blake is the ex-best friend and mean girl of the school. Aiden is the cute “boy next door” type that Audrey is totally crushing on. “The Boyfriend App” definitely takes you back to high school. If you haven’t had a chance to read “The Boyfriend App” by Katie Sise, go pick up a copy. I think you will love it. I give "The Boyfriend App" five out of five bookshelves.